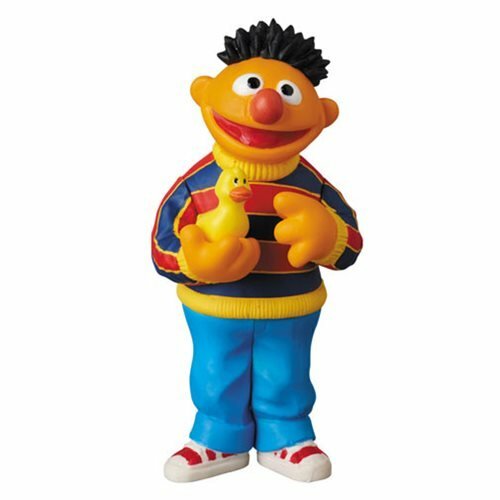 Discussion in 'Sesame Merchandise' started by MuppetSpot, Nov 5, 2016. Which one is the best looking for now and are you willing to pick up? 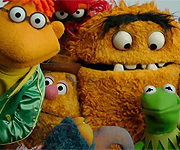 LStein, GonzoLeaper, sesamemuppetfan and 3 others like this. Why does Medicom sound more like a name for a brand of medical cameras? If they're reasonably sized, I may get these to replace the figures for my model - not that I don't like the Tyco figures I have, but it seems a tad odd for Ernie to be constantly wearing a bathrobe, or Bert to have Bernice on his head all the time. As I've said before, what I'd really like to have is Count, Telly, Baby Bear, Rosita, and Abby. Maybe even Prairie. LStein, 123Sunny and Blue Frackle like this. I would love to have that Oscar figure (typical)! 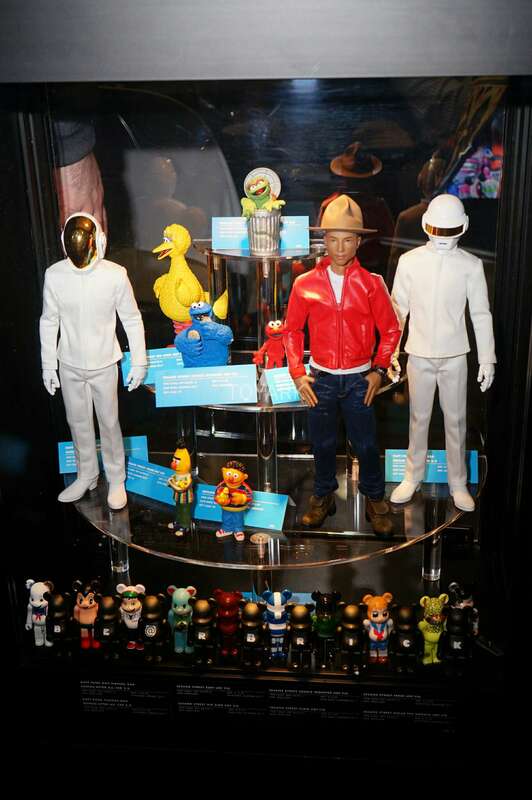 Medicom's a collector's market "toy" company (toy in quotes because they're more like those curios you put on a shelf). So I wouldn't be too surprised if these things cost a small fortune each. Certainly no cheap 3 dollar PVC. 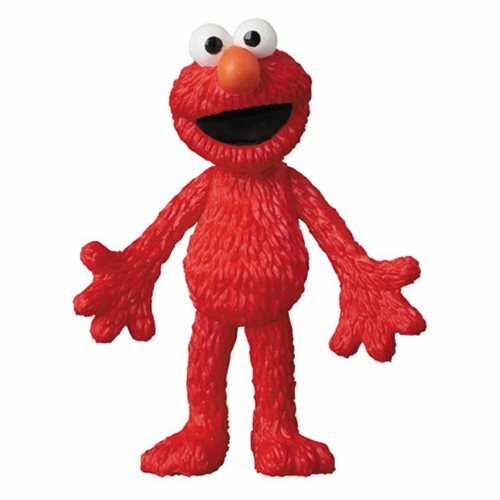 From Entertainment Earth site preorder the prices say that Elmo, Ernie, Cookie Monster, Bert, & Oscar are about $10 each but, Big Bird is $15. Oh, so in other words, they're not even going to be widely available like Palisades then? Okay, never mind. Oh, hot ****. Without getting into Palisades discussion, these are pretty nice. 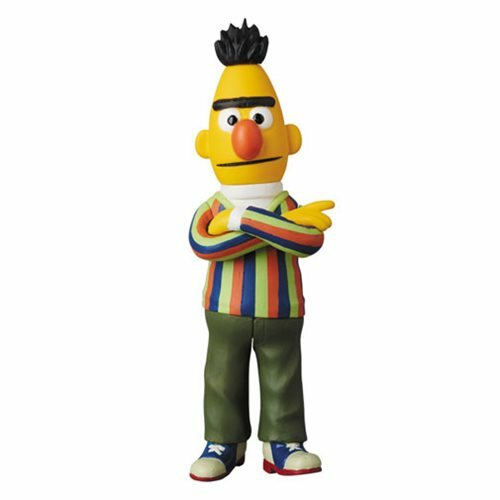 My only complaint is I prefer "action figures" as opposed to characters like Ernie who looks to be stuck in a pose. 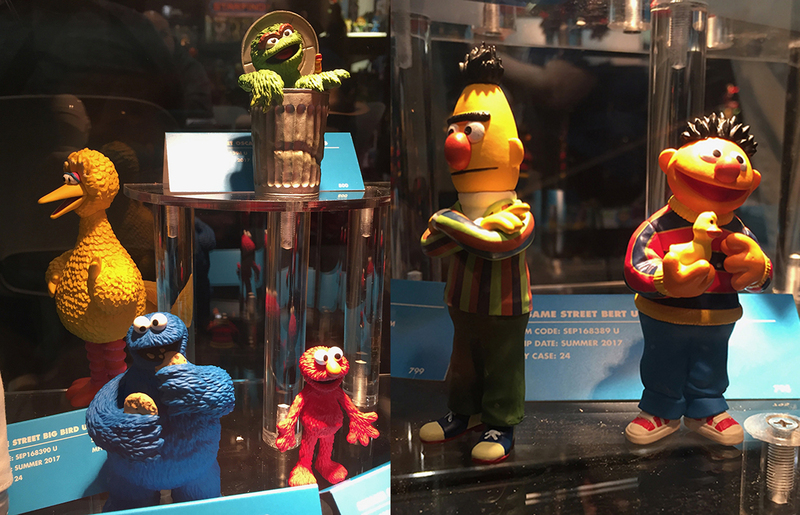 These are definitely prototypes, but the only legit complaint I have is Ernie's tongue needs to be pink. At least they aren't Funko Pops. I hope I get at least one. Oscar and Elmo look really like themselves. They are so cute!! And I agree Telly and Baby Bear are way undermerched as is Prairie!!! I hope they make more of these. Grover (both regular and Super), The Count, Snuffy, Prairie Dawn...at least all the current characters! YES!! We definitely need Snuffy!! I have the Charlie Brown UDF figure they made and it's pretty nice. 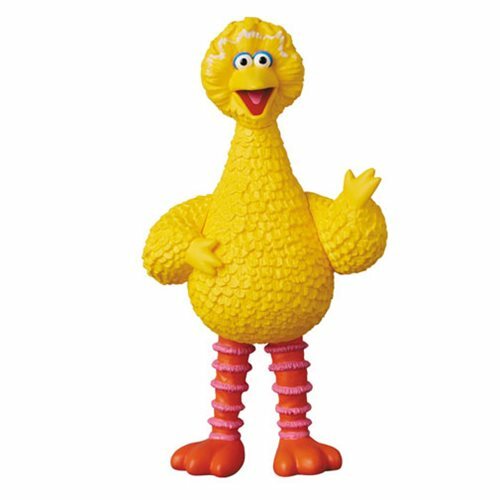 Big Bird is listed at 5.67 inches tall so I'm not sure what scale these are supposed to be in (if any that is). These look great! 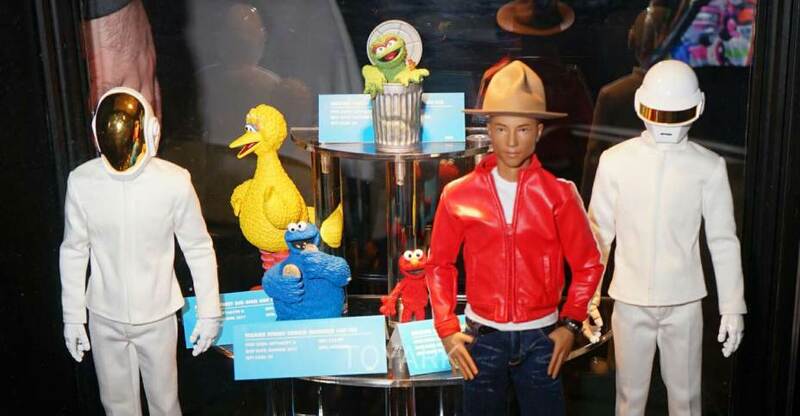 Thanks for the heads up on Sesame Street action figures. 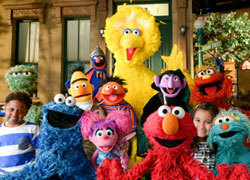 I definitely hope to see some other classic characters- The Count, Grover, Snuffy, Prairie Dawn, Telly, Herry....... I'd love to see Kermit included too. 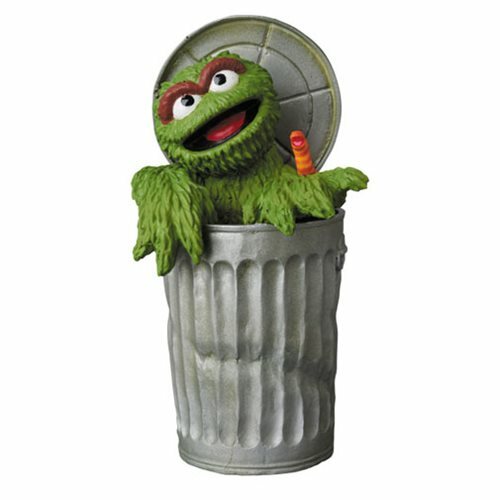 I wish they would make a Bruno figure, carrying Oscar in his trash can. I don't think a figure has ever been made. Wow. This was announced back in November, and yet I didn't know about them until Toy Fair? That's odd. These look good. I hope there's a second series. 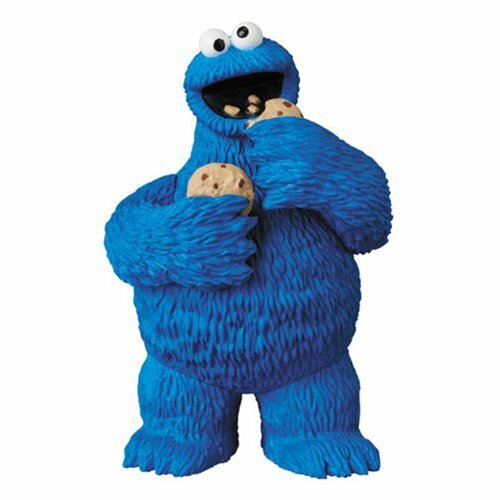 If they're aimed at collectors more than children, I'd like for series 2 to include Grover, Snuffy, Telly, Herry, and The Count. These have been out. Has anyone picked any up yet? It's around the corner from Christmas and I'm also trying to relocate so money is tight on my end. What does everyone (who has grabbed some) think of them? They're out? Where? How much are they? How tall are they? As an update. Bought Oscar and Big Bird. When I bought them back in December, the prices were more than the suggested price . I think I got Big Bird for $20 and Oscar for $12. Again, going off memory almost 10 months ago. Very happy with how well they look. Big Bird is balanced well, but can tip easily. Something tells me it won't hit the ground well like PVC figures would. Only complaint is his eyes look cartoonish. Wish I could do clay well... I'd totally make a Bruno to go with Oscar. Oscar looks great. Honestly no complaints. Eventually I wanna get the set. Doesn't seem like they're going to continue with more characters, but I keep searching Google.